Compare car servicing chains in New Zealand at Canstar Blue. Oil Changers, Pit Stop, AA Auto Service & Repair, Midas and VTNZ were compared on value for money, time taken, cost of any parts required, effectiveness of repairs, customer service, and overall satisfaction. 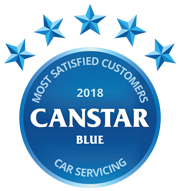 Making it six in a row, Kiwi car servicing company, Oil Changers has once again claimed the Canstar Blue Customer Satisfaction Award, but putting the pedal to the metal, last year’s runners up Pit Stop have accelerated themselves into the top spot too. In New Zealand we love our cars but to make sure a vehicle is running smoothly and efficiently it is important to service it regularly. How often depends on the make, age and mileage of your car (you should be able to find the correct service frequency for your car in the manufacturer’s handbook) but a good rule of thumb is once a year or every 10,000km. Like 20% of the people Canstar Blue surveyed, it may be tempting to skip a car service or get it done less frequently, after all it will probably save a few hundred bucks. But be careful, this short-term gain could lead to long-term pain on you and your wallet as a lack of general maintenance can result in some pretty major – and expensive – problems later on. 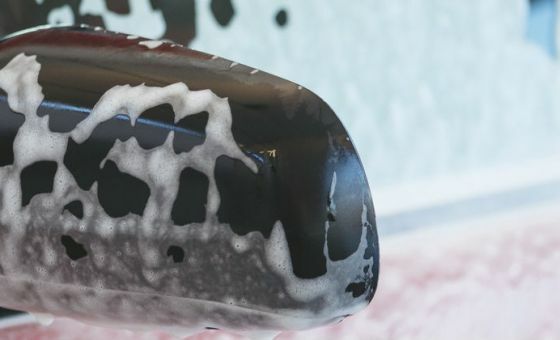 Many of the checks carried out during a car service are on the components and bits of the car we can’t see, and let’s face it (because we’re not all car experts) may not even know about! Fluids and oils need changing, pressures and filters checked, and belts, drives and plugs may need replacing. Not getting these things done may, at best, cost you a lot of time and money when it results in damage to your engine. At worst it could cause a catastrophic failure that could put the safety of you, your passengers and other road users in danger. A sobering thought. Effectiveness of repairs – If we’re paying for repairs, we want them to work! Customer service (including advice) – Not really surprising that this was one of our main drivers of our satisfaction. Clear communications, keeping to appointment times and letting us know when we might have to pay a bit extra can really make a difference. And for those of us who don’t know our dipstick from our drive belts, a little bit of advice on how to maintain our vehicle can go a long way! Time taken – Us Kiwis rely on our cars so if we’ve got to go without it, we want to make it quick! Value for money – Some of us want cheap and cheerful, some prefer to pay more to get more but whatever your preference, it’s important we think we’re getting our money’s worth. Cost of any parts required – Obviously the fewer surprises here the better. How much does a car service cost in New Zealand? There’s no set cost for a car service and the range of things being looked at (as part of the service) can vary quite a bit too. We had a quick look at the providers that were rated in our survey and found that costs varied from $79.95 up to $289 and this covered everything from a basic 15 point check through to a more thorough 50 point check service. If you drive a European brand or a vehicle with a diesel engine, you can expect to pay more. As mentioned, Oil Changers has proven itself a champion of car servicing since 2013, again rating five stars in overall satisfaction. The company’s website lists a wide range of services it offers with the price of a full services starting at just $79.95 – considerably lower than the advertised prices for similar services by its competitors. On top of its other services, Oil Changers also invites you to call in for a free transmission, power steering, washing fluid, and motor oil level check and, if you display one of their Oil Changers stickers in your rear windscreen, you can also claim up to 500ml of free oil top-ups. Pit Stop’s website advertises five levels of ezy service: Express, extensive, elite, eurocar, utes and vans (all diesel and petrol models), ehybrid and EV. Prices start at $159 for the express ezy service up to $299 and over for the elite. Sign up to the Pit Stop rewards program and you will also gain access offers at over 4,000 businesses including dining, activities, leisure, travel and hotel accommodation. AA Auto Centre offers up to four levels of car servicing ranging from bronze to platinum – platinum being the most comprehensive package. Prices begin at $179 ($159 for AA members) for its non-European petrol car bronze servicing deal. With workshops across the North and South Islands, Midas offer a range of services to suit any vehicle. Popular packages come in the form of their basic, smart and premium with prices starting at $149.95. In addition, specialist services for European and diesel models are also available. With 82 branches nationwide, VTNZ is the largest provider in New Zealand. Unlike the other providers that were rated, VTNZ only offer a basic service as well as a range of maintenance and assessment packages. Prices are $39 or $28 if you opt to have the service at the same time as your warrant of fitness. Canstar Blue commissioned I-view to survey 2,500 New Zealand consumers across a range of categories to measure and track customer satisfaction. The outcomes reported are the results from customers who have had their car serviced in the last 2 years by a car servicing chain. In this case, 616 New Zealanders. Your car is valuable, however when it comes to servicing our cars, an alarming number of Kiwi's are cutting corners. Confused by car terminology? Don't worry, you're not alone. We explain a large list of common car terms to help you better know your vehicle. The majority of Kiwi drivers are worried about being ripped off when they get their vehicle serviced.